This classic, hearty Italian sauce adds some masculinity and depth to roasted spaghetti squash for a nutritious and satisfying low-carb, comfort meal. Customize by going meatless or pair it with your favorite pasta for a taste of Roman home cooking in your own kitchen. I believe that Italian food is the world’s comfort food. Whether you have a taste for Mediterranean calamari, pasta, pollo Milanese, Genovese pesto, northern risotto, or Neapolitan pizza, Italy serves flavors that transcend culture. So after a trying day of wine tasting in Sonoma County, California, my Italian friend’s home-cooked Roman meat sauce (similar to a Bolognese) served over rigatoni and paired with one of our favorite Sonoma Zinfandels, was the perfect ending to one of those days that makes you grateful to be alive and for those around you. The dish was so straightforward, not the sort of slave-all-day complexity that surprises and delights. 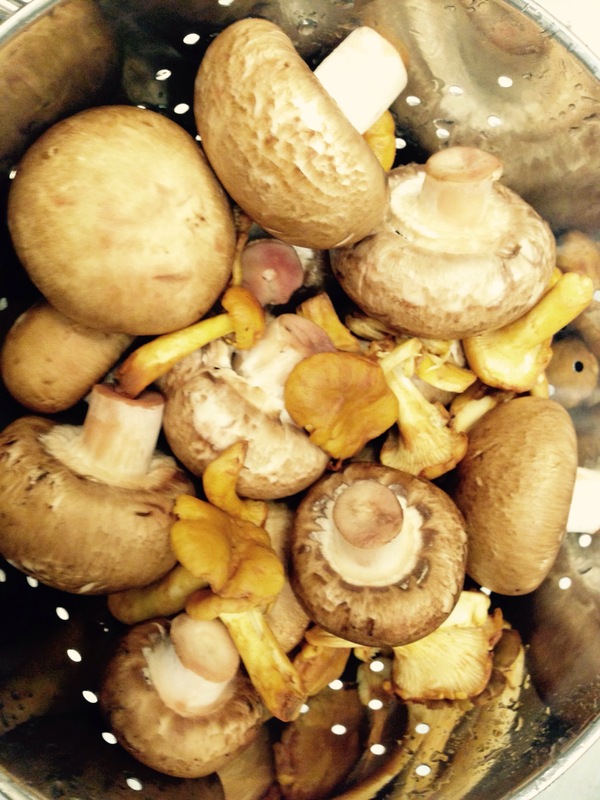 Mushrooms and beef are better together than separately. The tang of ripe tomatoes, with fresh basil and a subtle heat create a combination you couldn’t imagine any other way. Personified, this Roman-Bolognese is that friend you haven’t seen in years, but you pick up right back up as if you’d been in touch all along. In other words, make it and you have an instant go-to dish. After watching my friend cook this pasta dish. I realized that I needed to recreate it, but with a California twist. After months of transient living, restaurant food and perhaps a bit much wine have taken their toll on my body, so of late, I’ve been looking for healthier options. My philosophy is not to fear carbs or be overly restrictive (as you’ll see on my Healthy Diplomat page), but to load up on vegetables, fruits, and limit processed foods. In Northern California, the abundance of fresh, local produce is one of the secrets to the area’s culinary notoriety. Quality ingredients make quality food. 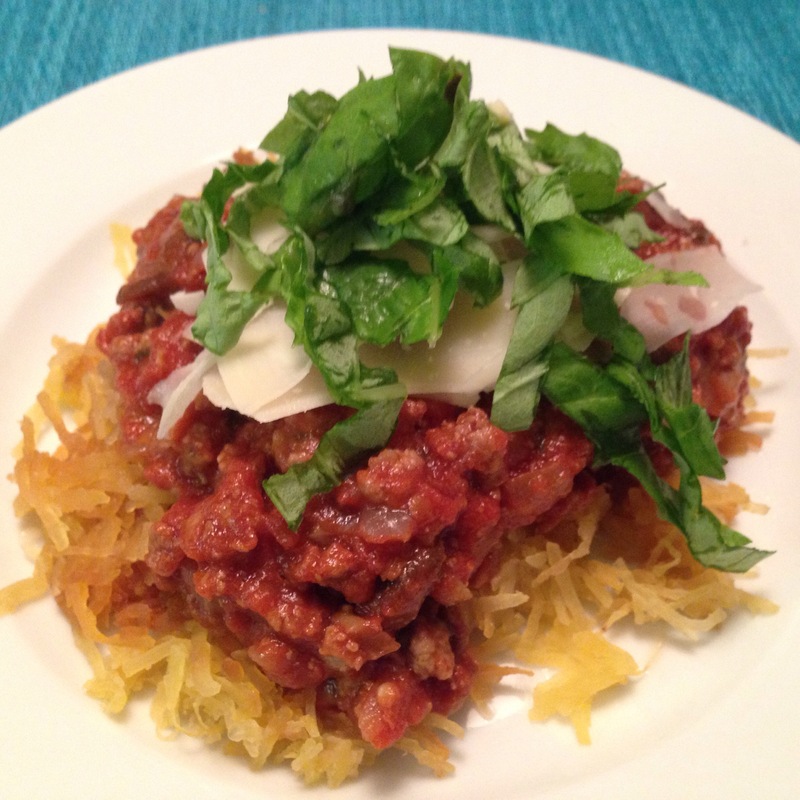 So I turned to spaghetti squash from a local farmer’s market to carry its weight with this hearty Roman version of a Bolognese (meat sauce). It is an easy way to lighten a heavier, food-coma inducing dish without sacrificing the experience and texture of al dente pasta. It also is friendly to those on gluten-free, paleo, or low-carb diets. Substitute crumbled seitan or texturized vegetable protein for the meat in the sauce (or double the amount of mushrooms) to make it vegetarian or vegan (without cheese). If you don’t have dietary restrictions, try making it different ways to see which one you prefer! I used local and almost exclusively organic produce for the entire sauce, including canned San Marzano tomatoes for that “authentic” (a word I generally hate to use in food speak) Italian flavor. Feel free to substitute whatever varieties you can find in your area. This dish isn’t at its best without wine (so long as you are of age!). A California Zinfandel’s subtle sweetness and fruitiness are a perfect pairing for this sauce, but I’ve also had it with a bold, jammy Cabernet Sauvignon. Whichever you choose, the wine and dish play together very nicely, only enhancing the flavor of each. Start to finish, it can be made in about an hour and fifteen minutes, but simmering the sauce for a few extra hours will deepen the flavors. When using pasta, rigatoni is ideal, since its tube shape and ridges carry the sauce easily, though spaghetti or angel hair would be appropriate substitutes. Whole-grain wheat, spelt, or quinoa pasta are wonderful, more nutritious alternatives to “white” pasta. To roast/steam spaghetti squash, preheat oven to 400 degrees Fahrenheit. Place whole squash in a roasting pan with about 1/4″ water. Bake for 30 minutes. Remove temporarily; cool for 5 minutes. When cool enough to handle, cut in half lengthwise. Using a fork, scrape and remove the loose innards and seeds (usually darker than the bright yellow, edible flesh beneath) and discard. Leave the remaining flesh intact and return to the roasting pan, cut sides up. Brush or drizzle with olive oil. Return the pan to the oven for an additional 15-20 minutes, or until inner flesh begins to brown slightly. Remove and cool. 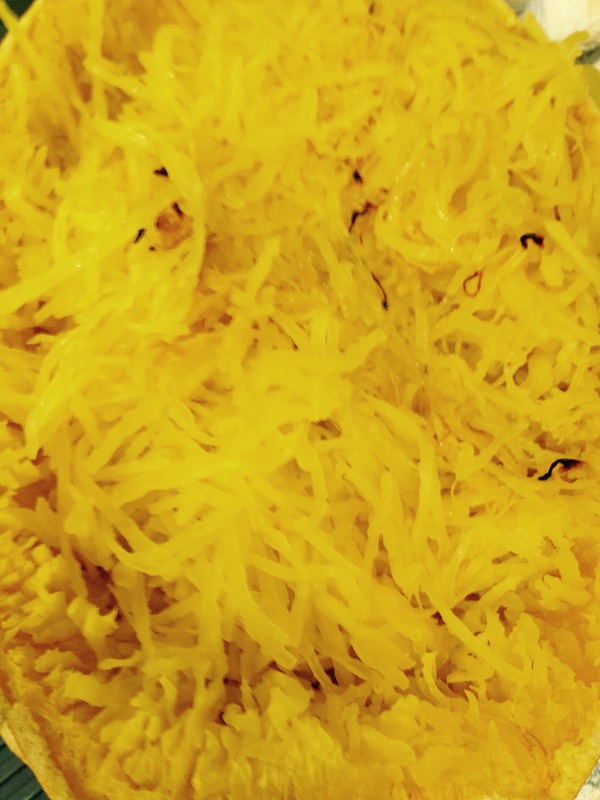 May be made in advance of spaghetti squash or simultaneously. If preparing the sauce and squash simultaneously, begin the sauce after placing the whole squash into the oven for the initial bake. In a medium pot or saucepan (ceramic is preferable), heat the olive oil over medium heat. When hot, add the crushed garlic. After about a minute, add the chopped onion. Close the lid and allow the onions and garlic to sweat and cook until tender (monitor constantly and stir as needed, especially with a steel or copper-bottomed pot). Add meat or meat substitute and brown thoroughly. Roughly chop about 1/2 cup of the basil leaves and add them to the mixture. 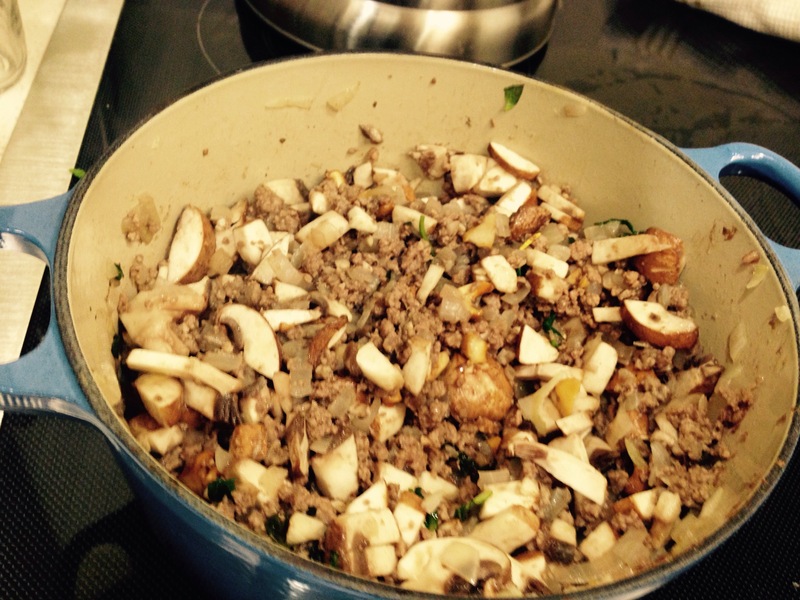 Next, stir in the mushrooms. Cook while covered, for about five more minutes. Add tomatoes, salt, and peppers, stir continuously for a few minutes. Cover. 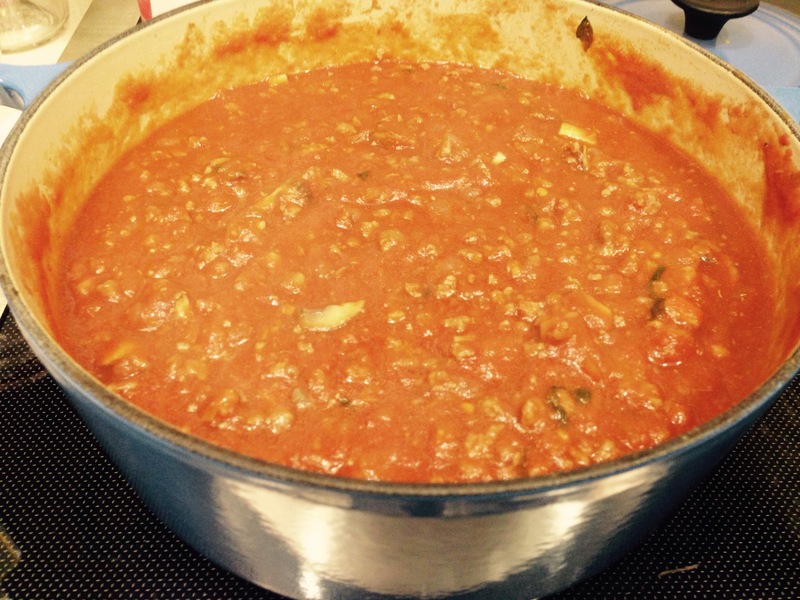 Allow sauce to come to a boil; reduce heat to medium-low and simmer for at least 15 minutes. Add most of the remainder of the basil, reserving some for garnish. If you have time, reduce heat to low and simmer for 1-2 hours, stirring occasionally. If using pasta, cook according to package directions. Drain, rinse with cool water, and drain again. 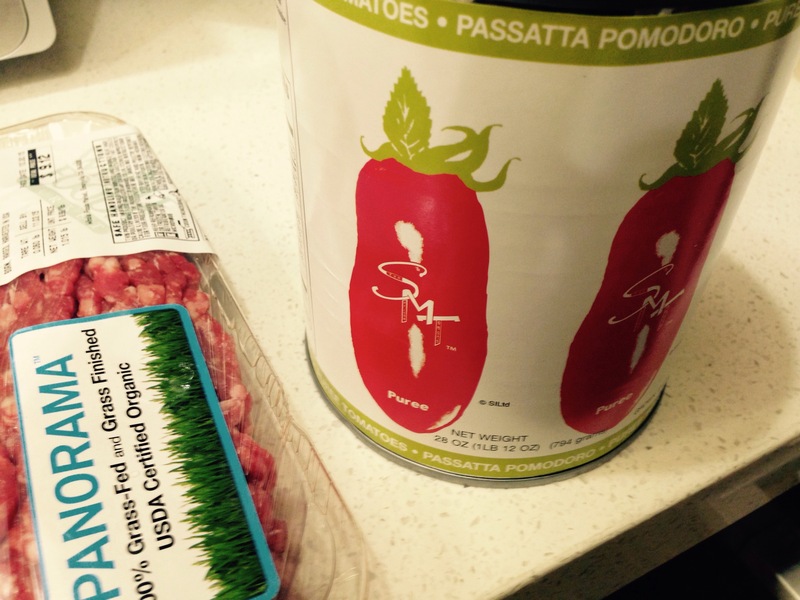 Add pasta to sauce and stir to combine. If serving with squash instead of pasta, top with sauce during – not before – serving. Top with reserved basil and grated Parmesan or Romano cheese, or if staying dairy-free or vegan, nutritional yeast.